Recently, I took a Caribbean cruise. I’m always torn about how to do the least harm and most good when I travel. The image of a huge cruise ship disgorging thousands of people seems like it could damage a delicate Caribbean island ecosystem and overwhelm the local culture. Then, I read that feeding a record number of land visitors to Cuba last year created food shortages for ordinary Cubans, who already live with rationed supplies. In that case, a ship that carries its own food from Miami along with those thousands of passengers who purchase art, rum, and cigars might just be doing less harm. 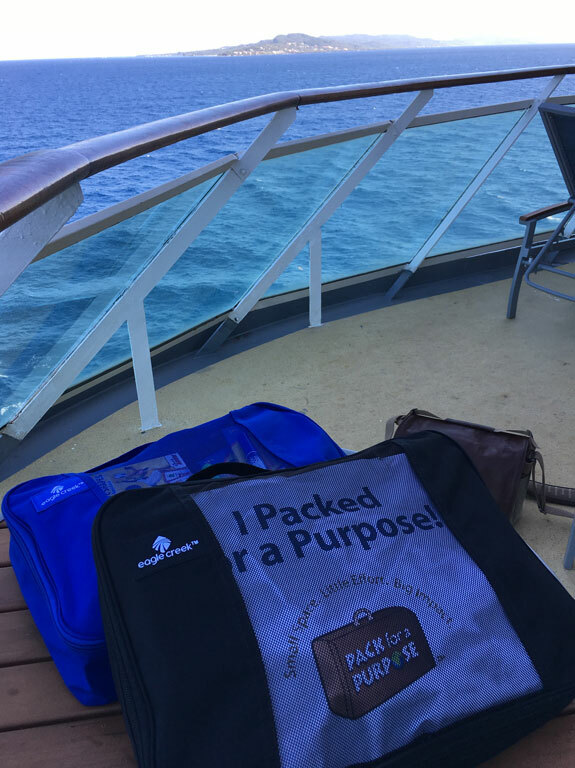 As I puzzle through this conundrum with every trip I take, I have learned that Pack for a Purpose is one way to make a positive impact wherever I go. How do I know it is positive? 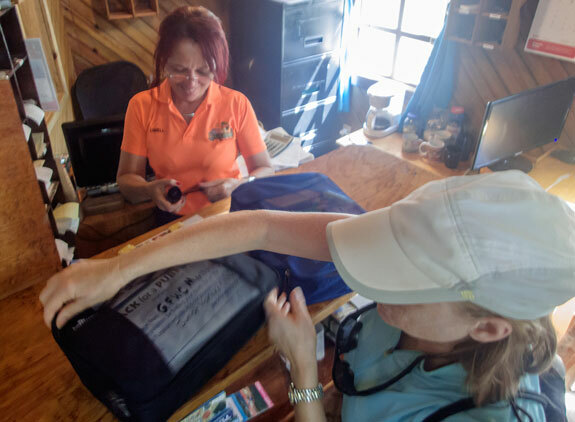 Pack for a Purpose’s carefully curates lists of needs from each community that they work with to help inform what travelers should pack for them. I can solicit donations for exactly what the community organization projects need and remove any troublesome packaging that cannot be recycled easily at the destination. I know that what I bring along as a guest in each community is something they need and want! I have decided that each time I take a cruise vacation, I will do my part to provide something helpful to one of the islands I visit. This year, our cruise itinerary included the island of Roatan in Honduras. 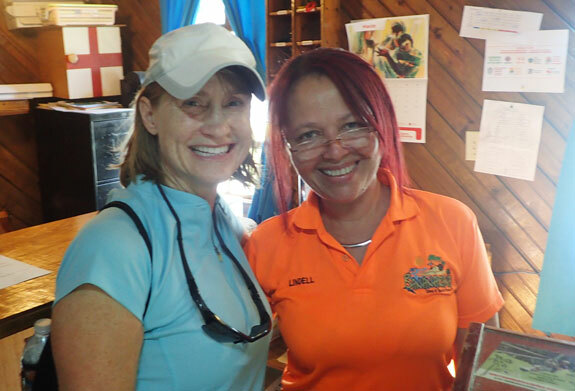 After checking the PfaP website, I found that the Bananarama Resort on the West Bay of Roatan is a Participant, which collects supplies for Familias Saludables (FS), a Roatan clinic that works with women and children. 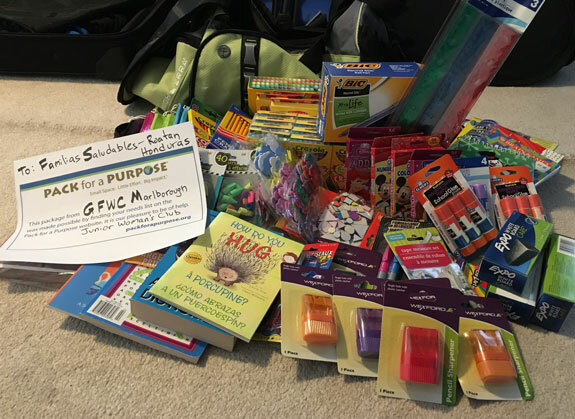 I found the list of school supplies that FS needed for their school and started a collection at my local woman’s club meetings, the GFWC Marlborough Junior Woman’s Club. Many of the women in my club are teachers and mothers, so they were aware of what other women needed and responded with over 10 pounds of donated supplies. I removed all the unneeded packing. (This is listed under “How to Pack” on the PfaP website) I packed two packing cubes full of supplies for the schoolchildren and brought it with us on our tour. 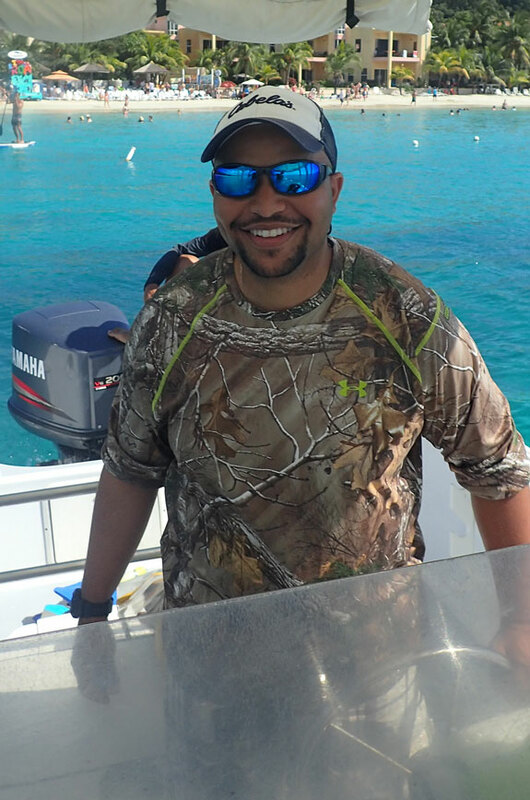 We had booked a private tour with a local guide, Channin Boddin, and we knew we would be snorkeling in the West Bay. Channin told me we could easily deliver the supplies from his boat on our way to the snorkel sites! We pulled up onto the Bananarama beach in Channin’s boat, and I felt like the host of the TV show Survivor, delivering supplies to the island via boat! But I guess I shouldn’t have felt so unique, as ALL the supplies that come to an island community usually come by boat! I met with Lindell, the manager at Bananarama, who happily took our supplies and assured us they would get to Familias Saludables. Then we hopped back onto Channin’s boat and had a wonderful afternoon snorkeling the gorgeous MesoAmerican reef that Roatan is famous for! I’m hopeful that the teachers and children at Familias Saludables will make good use of the supplies my woman’s club collected. It is one small way to thank a community that welcomed a great big cruise ship and shared a beautiful island with all of us!